Woolwhich's traditional, original flavoured chèvre. 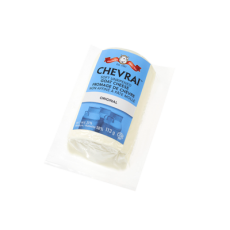 Chevrai is a traditional rich and creamy cheese made from fresh goat’s milk. It has a light, tangy taste with a smooth finish, and slices easily and maintains its shape when heated or browned in an oven/broiler. This product flavour is Kosher.